If you want to sell home now Chicago property owners, you’ve probably considered working with an agent first. This is the logical choice, isn’t it? Because without real estate marketing skills, how else are you going to attract buyers to take the property off your hands? Well, Chi Home Buyers would like to introduce you to the quickest, most convenient way to sell your home in the Chicago area. But first, it should be pointed out that even agents come with several challenges. This isn’t to say that agents are unethical, but they are people with bills to pay – like everyone else. If an agent has properties where the commission is much higher, there is a chance they’ll prioritize them above your property. This will leave your house on the market for a lot longer than it needs to be. Agents prefer working with properties in good condition. Mainly because it takes the pressure off them, and it makes it much easier to sell the home for obvious reasons. There isn’t an agent out there that can guarantee you a sale. They also cannot predict when an offer will be made. Of course, this is not something they can control, even if they have a very good reputation. The harsh reality is that the longer your home stays on the market, the less traffic you’ll see in terms of potential buyers. That’s why you want to make the most of the first 30 days. Otherwise, it only gets tougher. At Chi Home Buyers, we want to help you avoid all of the negative things mentioned above. Instead, we want to save you all the trouble that you would normally have to endure when selling your home the conventional way. And how do we do it exactly? First off, we always guarantee an offer. Even if you think we won’t, you’ll be pleasantly surprised once you get into contact with our friendly service. After you accept our offer, the paperwork is handled on our side. You literally only wait a few days for the deal to close before you get your check. That’s right, we are the buyers. This means we have the funds ready and available without any loan support of any kind. But what about the curb appeal or condition of your property? Leave it to us. We’ll fix it on our time after taking the property off your hands. 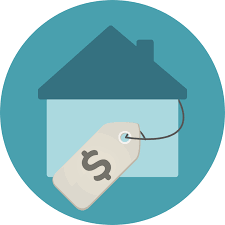 To provide you with a quick recap, we guarantee an offer, we already have the money, and it only takes a few days to move your property and get your check. Unless you want to take your chances with a real estate agent, why not get the deal done today with Chi Home Buyers?